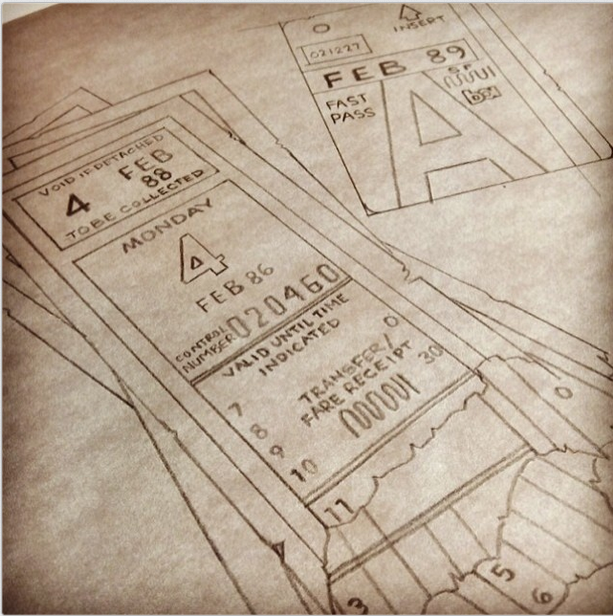 When we saw Muni transfers realized in a tattoo artist’s sketch, we knew there had to be a story behind it. We tracked down the owner of this tattoo and its artist, and found out why he got Muni transfers permanently inked on his arm. His story made my day. How about you? What neighborhood you live in? Why did you decide to get Muni transfers? I grow up riding the 24 Divisadero with my grandmother and mother. My tattoo is a tribute to them. I decided to get the Muni transfers tattooed with their birth dates coded numerically within the transfers because we are all born in the same month, February. Plus, it was a way to show how proud I am of being born and raised in San Francisco. I love my city! By the way, I have the 24 Divisadero Muni bus tattooed on me as well. Basically, my arm is tribute to Bernal Heights. Nice work, Orio and Gelson. 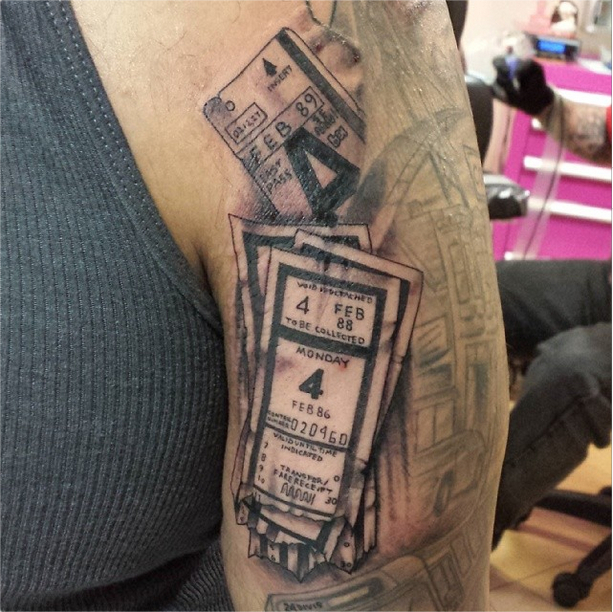 Here are a few other people with Muni-themed tattoos that show some serious love for our city and public transit.